The most luxurious way to get some 'shut-eye', whether it be at home in bed or on a flight, our Duke pure cashmere eye mask is gently padded for a soft and comforting feel, whilst an elasticated silk strap ensures a great fit without being constricting. Made from 100% woven herringbone cashmere from Loro Piana in this stylish navy colour, the Duke eye mask is designed to ensure an uninterrupted good nights sleep. The mask is lined on one side with our signature Bailey navy pure silk for delicate and cooling comfort around your eyes. 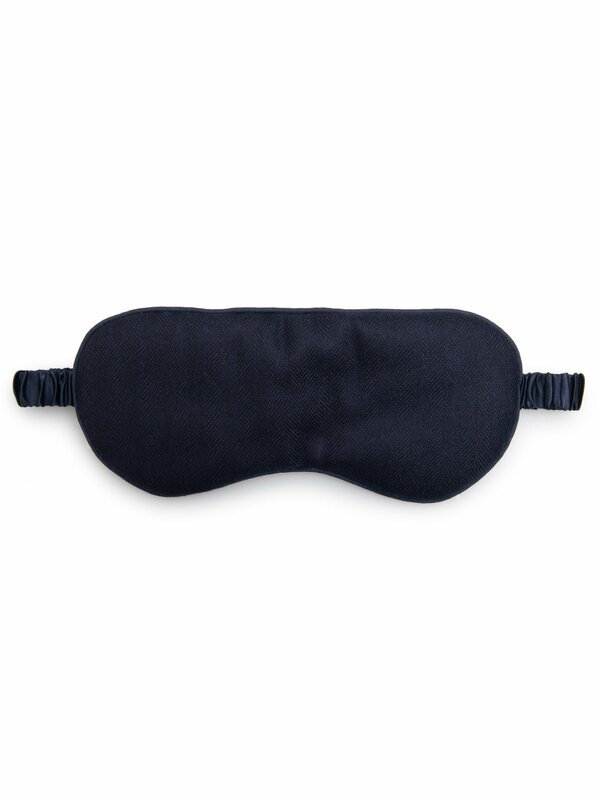 The eye mask is piped in a complementary navy and comes with a matching cashmere pouch. The pouch is finished with navy silk drawstrings for a final touch of luxe that makes this the perfect gift or just an indulgent treat for yourself.